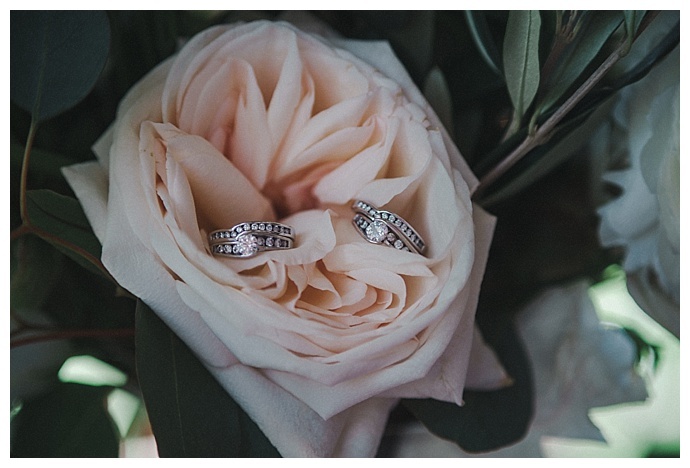 Nothing makes us more excited than when we get to see the wedding of a couple whose engagement session we’ve previously featured. 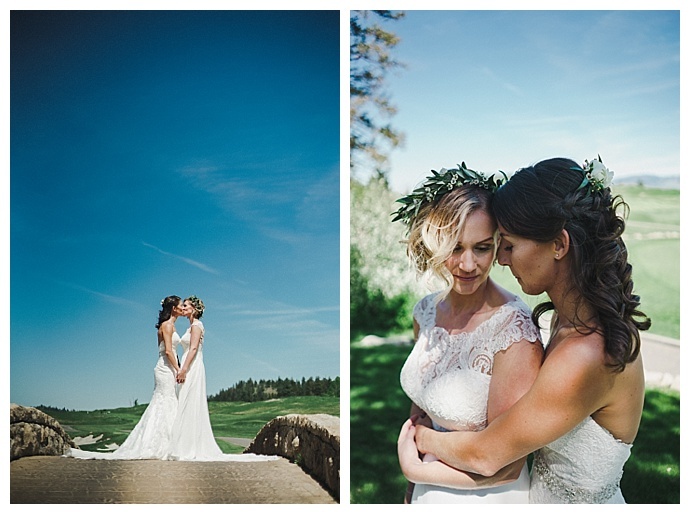 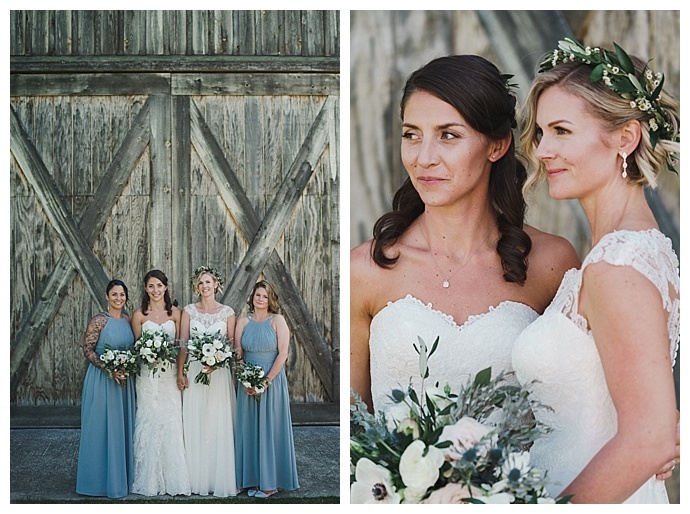 Earlier this summer, we published Fiona and Sam’s engagement session, so when we received their wedding from Joshua Jerrid Photography, we jumped at the chance to feature these two stunning brides again! 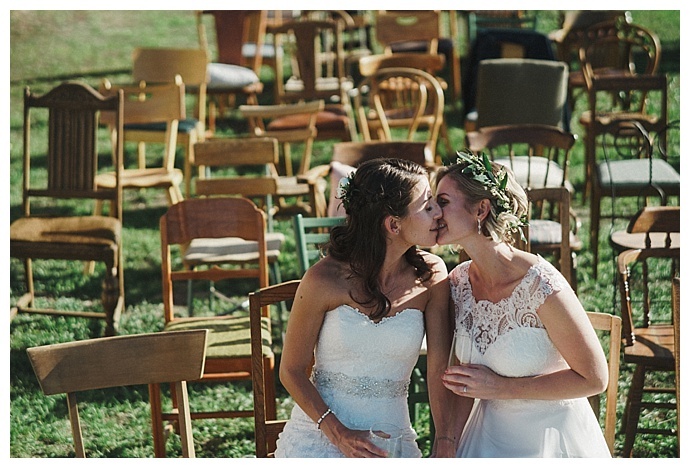 Fiona and Sam met on Tinder, and only six months into dating, Sam put a deposit down on a wedding venue. 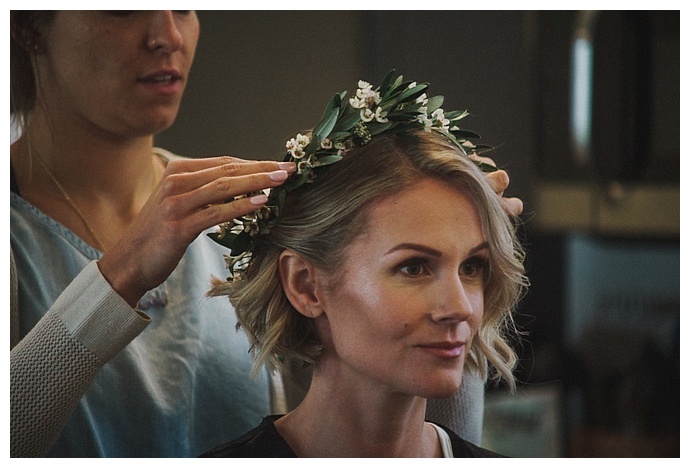 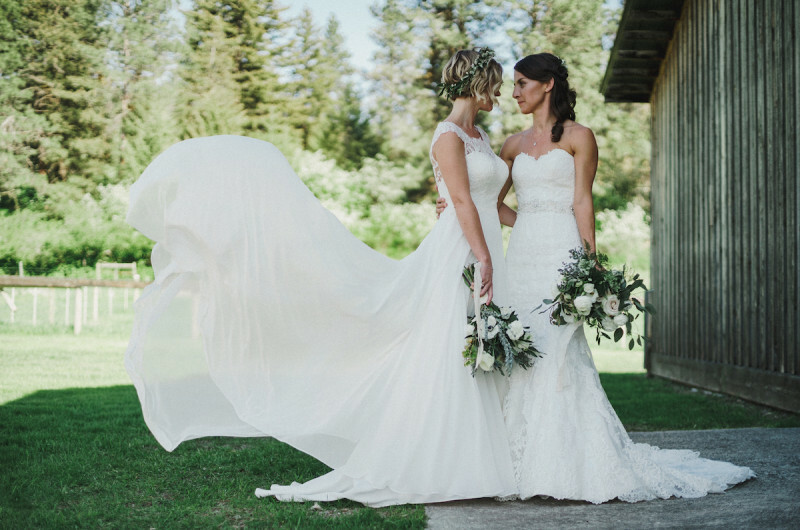 After they officially got engaged and started wedding planning, however, the brides-to-be realized that the venue wasn’t large enough to accommodate all of their guests. 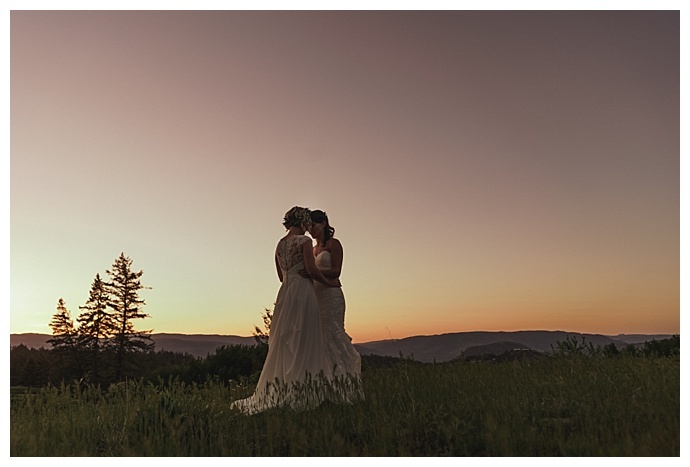 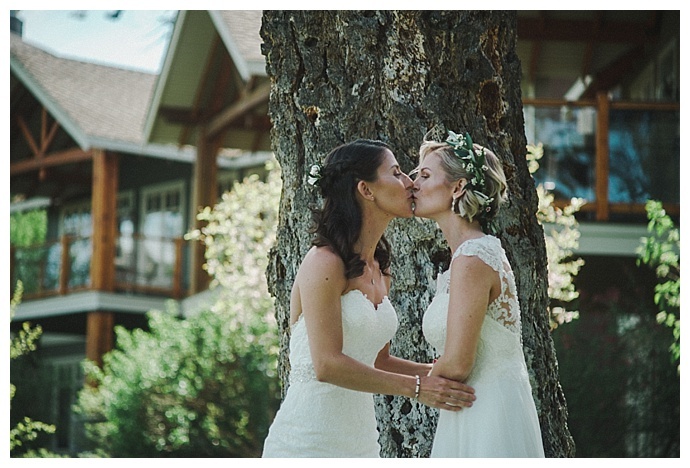 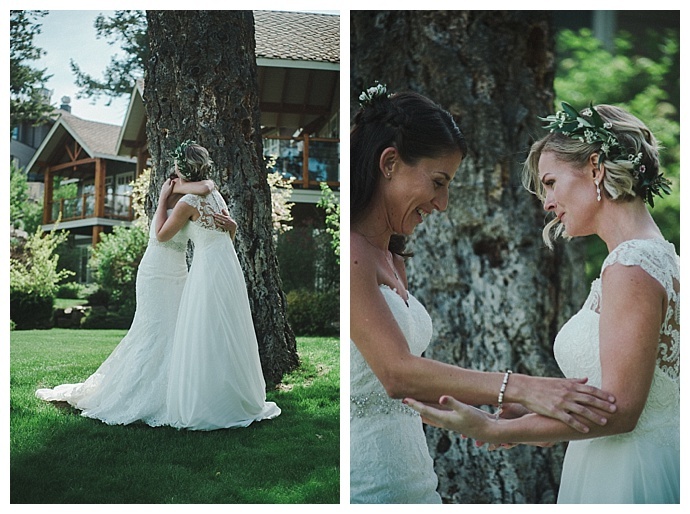 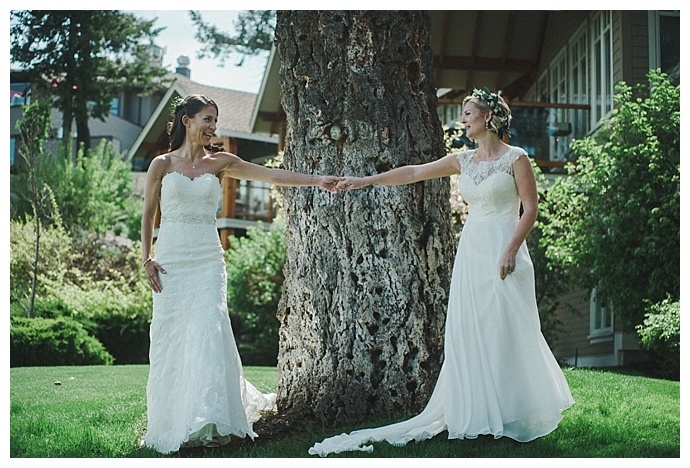 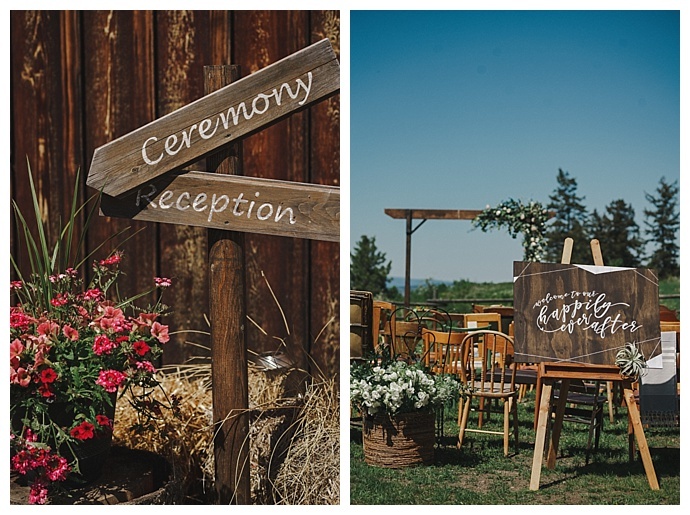 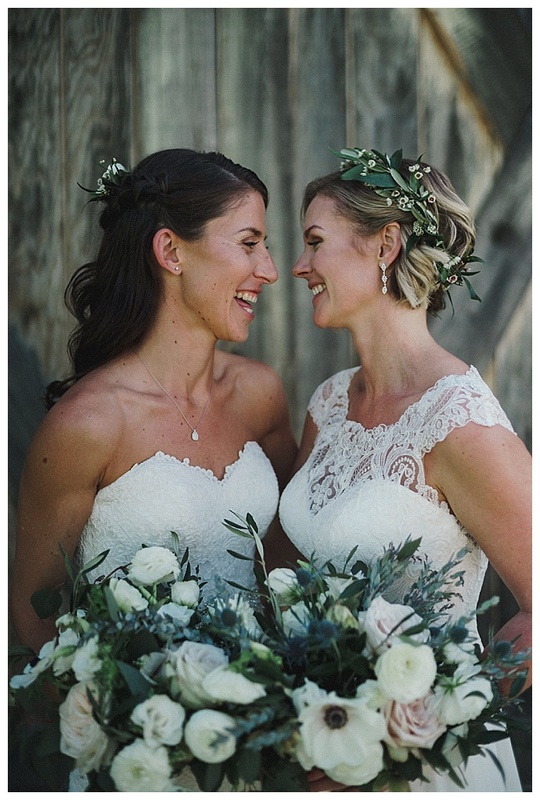 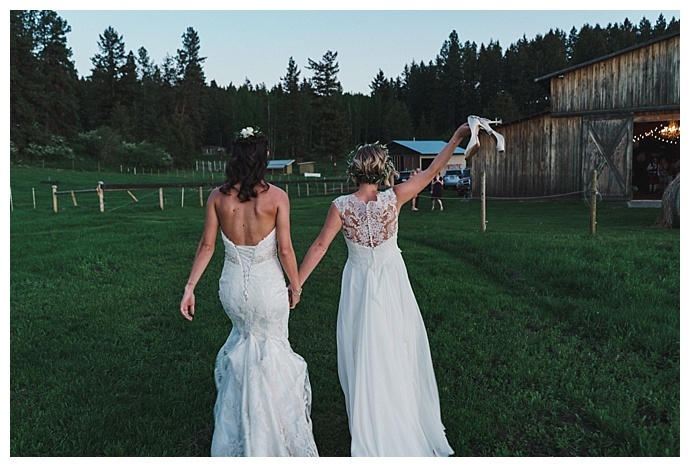 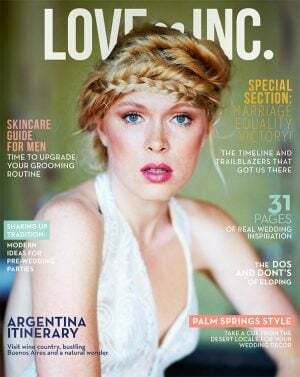 So they set out looking for other options and came across Lone Pine Ranch Event Centre, which ended up being the perfect place to hold their special day. 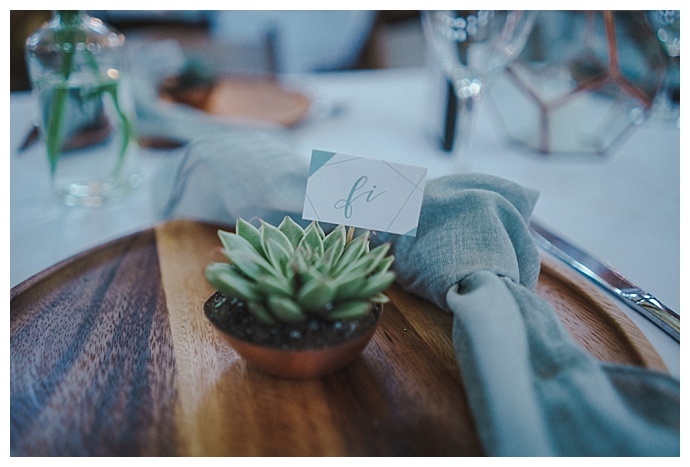 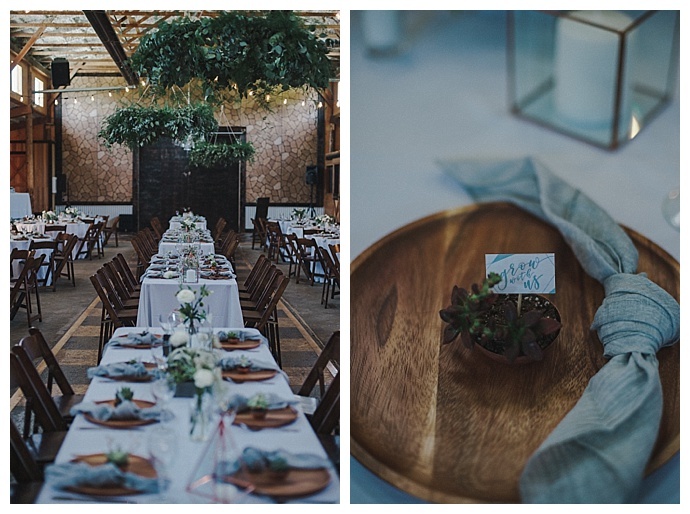 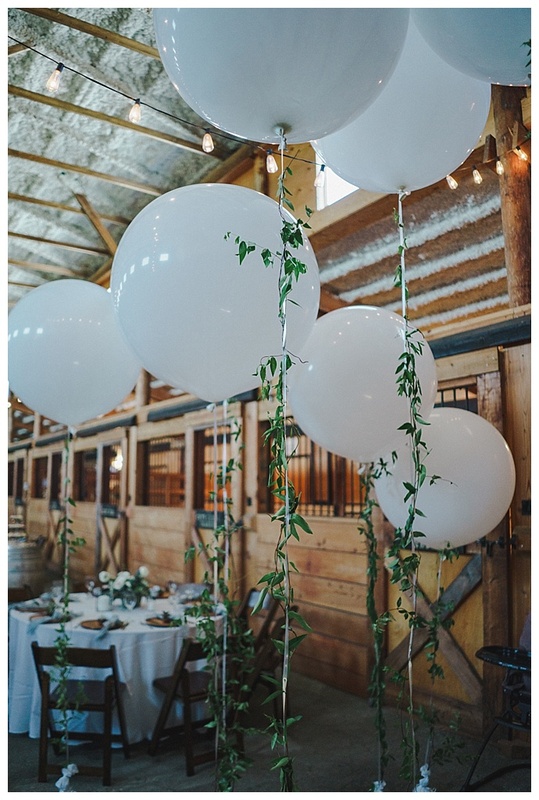 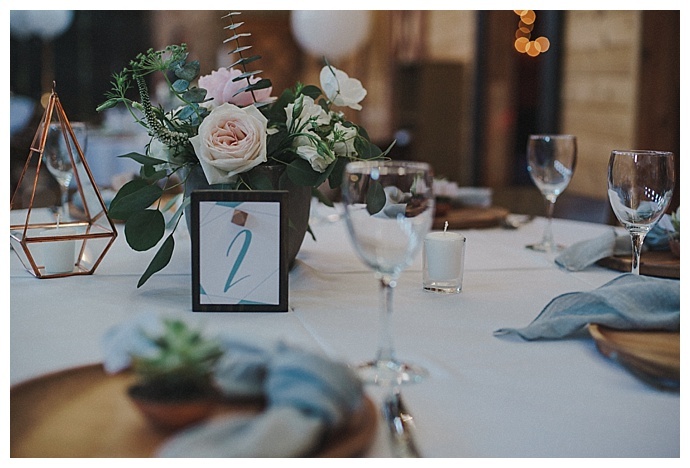 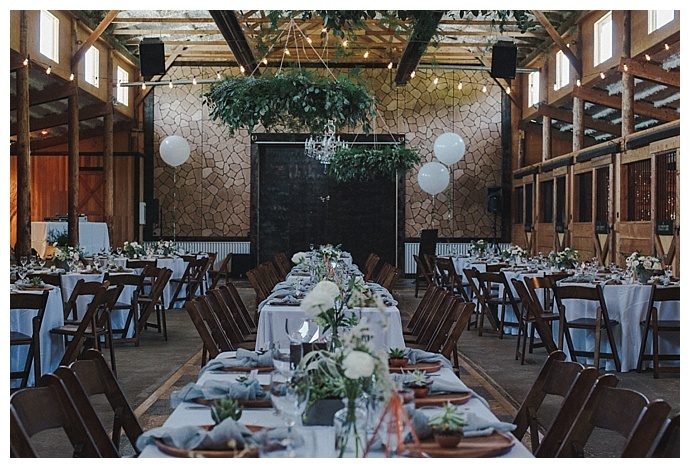 With help from Mint Julep Events, Fiona and Sam filled the barn where the reception was held with trendy, modern elements, such as succulents, geometric decor, large white balloons and lavish hanging greenery. 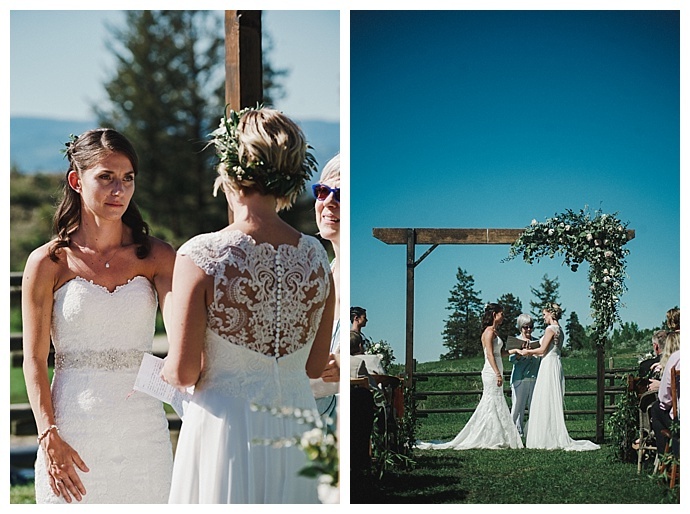 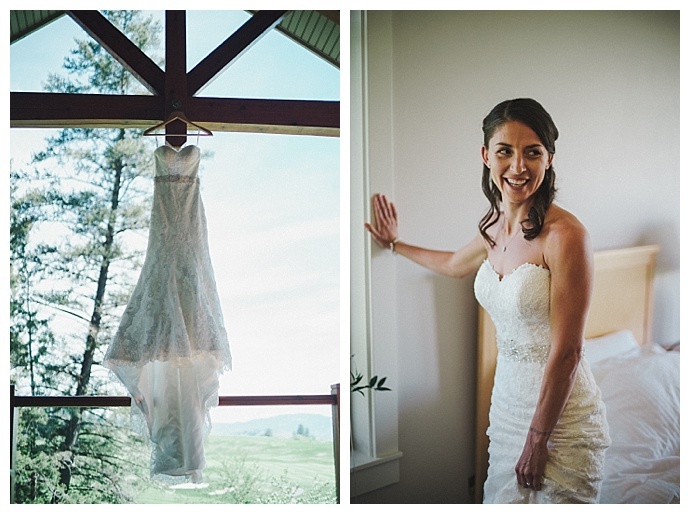 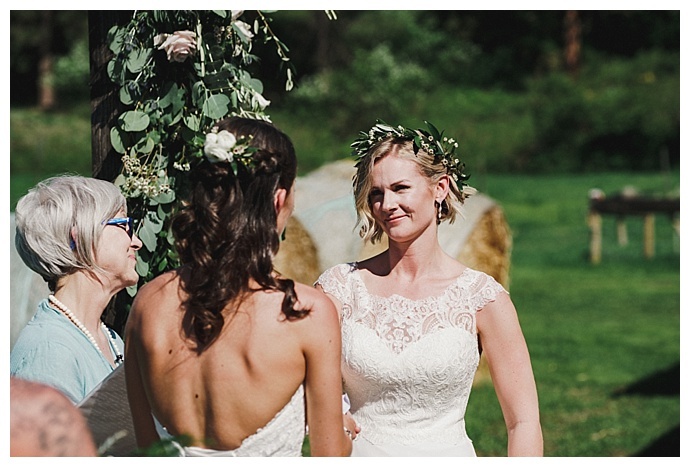 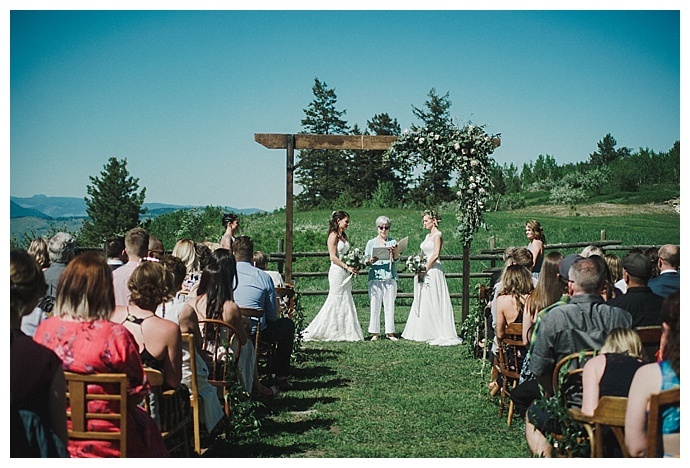 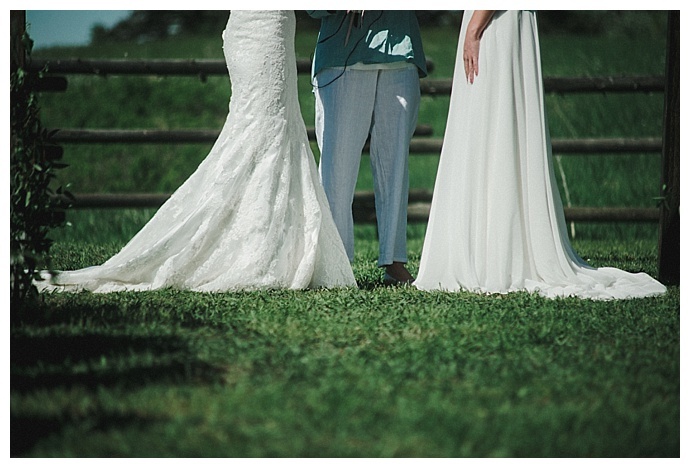 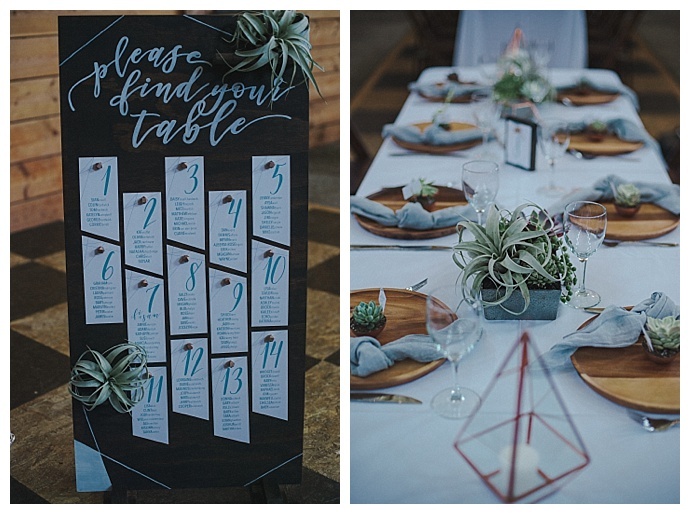 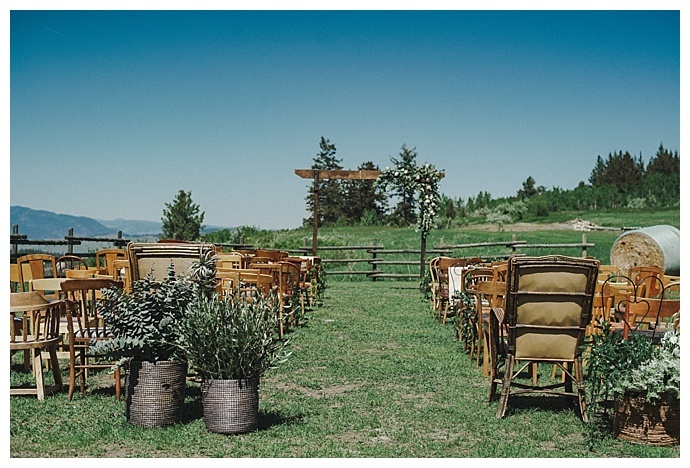 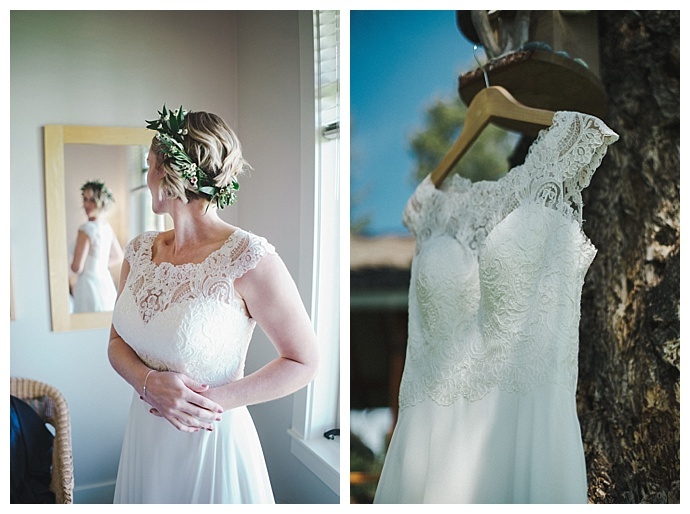 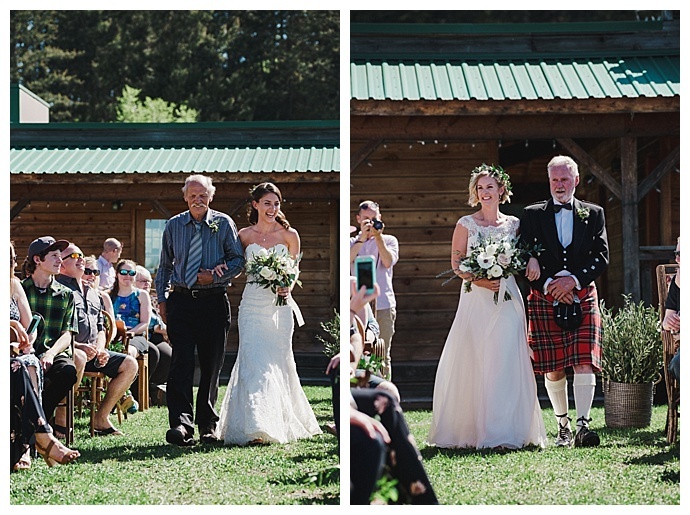 But the beautiful design is only one of many things we love about this modern ranch wedding. 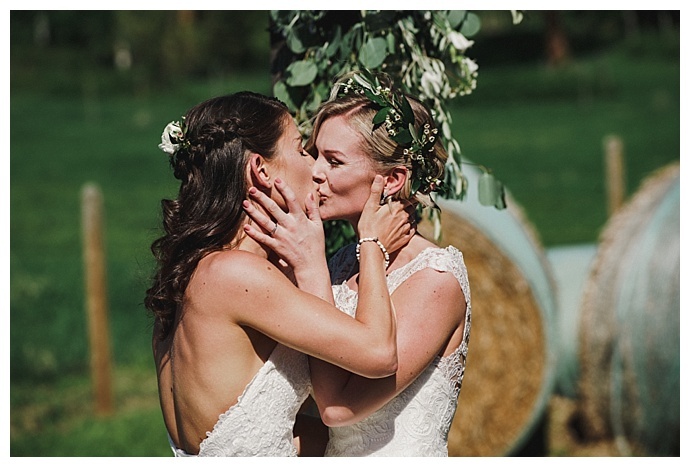 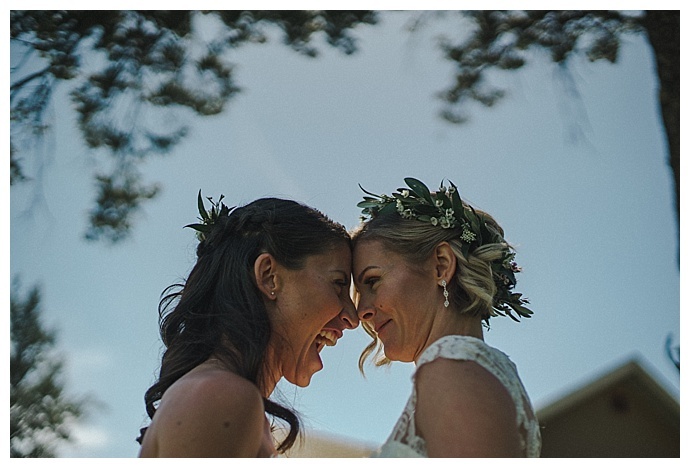 Fiona and Sam clearly felt the love throughout the day as they were all smiles from the moment they first saw each other during a touching first look to when they stole a private moment away from their guests to bask in a golden sunset, a perfect ending to a perfect day!